The leading B2B social engagement platform Oktopost has been recognized by Facebook as an official badged marketing partner. TEL AVIV, Israel, April 12, 2018	(Newswire.com) - Oktopost, the only social engagement platform for B2B enterprises, today announced its acceptance into the Facebook Marketing Partner Program. 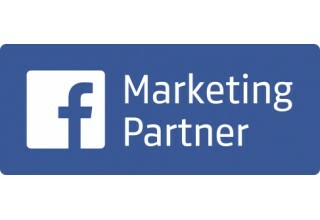 Designed to empower and connect between world-class marketing companies, the Facebook Marketing Partner program upholds that Oktopost has a proven track record of enabling B2B marketers to drive successful organic lead-generation efforts on Facebook while demonstrating their high ROI. The new partnership builds upon an existing collaboration between the two companies to position Facebook and Instagram as winning platforms for B2B marketing. With Facebook’s sheer volume of audiences available to reach and Instagram’s stunning storytelling opportunities, both networks have become a gateway for B2B marketers to acquire business leads, drive brand awareness and deliver a complete social care strategy. This is where Oktopost — with its various solutions geared towards B2B marketers — fulfills Facebook’s goal of growing its ecosystem into the B2B world as well as helping users tie their posts and campaigns to broader business goals. As such, Oktopost remains the only solution that equips B2B marketers with robust publishing tools, a complete social listening suite and granular analytics needed to schedule, monitor and measure organic social campaigns across Facebook and Instagram. Furthermore, Oktopost’s deep and native integrations allow B2B marketers to seamlessly share social data with their marketing automation, CRM and BI platforms, ensuring a complete picture of the buyer journey across Facebook. Beyond building awareness and trust among the B2B enterprise community, being a Facebook Marketing Partner allows Oktopost to access a more comprehensive support system for tracking and growing its business more effectively. Along with this badge, Oktopost customers can embrace a full suite of Facebook and Instagram capabilities, designed to reach their B2B goals. This includes the ability to publish, monitor and measure Instagram posts directly from Oktopost — a highly requested feature recently made available. “While Instagram is largely overlooked as a B2B marketing channel, we believe that the Facebook partnership will allow Oktopost users to reap the many benefits offered by Instagram, such as humanizing their brand voice and showcasing company culture,” says Liad Guez, VP product at Oktopost. Oktopost's data-driven approach to helping companies establish their social media ROI is verified by various official partnerships with Act-On, ClickDimensions, Eloqua, Marketo, Salesfusion, TalkWalker, Votigo, Twitter, and LinkedIn. For more information about Oktopost’s powerful social engagement platform, visit www.oktopost.com. Oktopost is the only social media engagement platform that is architected for B2B enterprises. Oktopost customers use the platform to manage and publish content at scale, measure business performance and integrate social data with their entire marketing ecosystem. To learn more about how Oktopost helps companies reach their B2B goals with the power of social, schedule a live demo.